Class 1 Medical device – Lip Fix is an emollient barrier rich in natural lipids that helps to protect lips affected by cold sores, dermatitis, eczema, chapping and dryness. 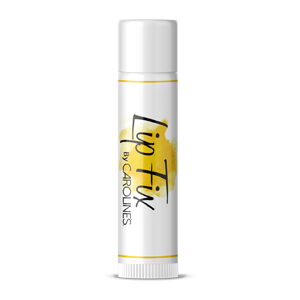 Lip Fix is typically used to alleviate conditions such as dry, irritated or cracked skin and may also be used by individuals who typically suffer extremely dry skin and/or compromised skin barrier health. For example, in conditions such as cold sores, abrasions, dry feet and heels, chapped lips, etc. Helps to protect and maintain healthy lips and skin. May be used by individuals who typically suffer extremely dry/and or compromised skin barrier health for example in conditions such as cold sores, dermatitis, eczema, chapping and dryness. Class 1 Medical Device – Ingredients – Simmondsia chinensis seed oil, Wheatgerm Oil, Glycerol, Tocopherols concentrate – mixed (lowalpha type), Borago officinalis seed oil, Beeswax – yellow, Rosa Canina Fruit Oil, Golden Seal Root Dry root extract, Calendula flower dry extract, Slippery Elm Bark Powder extract, Handroanthus impetiginosus extract, John’s Wort herb dry extract, Styrax benzoin tincture. Check the ingredients for allergies; if concerned patch test before use. Apply topically as required. Do not share this product with others. Where cold sores are present, use a clean, disposable applicator. Keep container closed. Protect from light and heat. Always use as directed, see your health care professional if problem persists, always read the label. After trying, with mixed results, the various available moisturizers, I turned to my own knowledge of aromatherapy. Through the process of trial and error, using a concentrated blend of oils and herbal extracts, I arrived at a formula that began to help repair my skin. © 2019 Caroline's Skincare Pty Ltd, All rights reserved. All trademarks and registered trademarks are acknowledged.